*The Acworth Emergency Food Pantry here at Mars Hill Presbyterian Church is in short supply of some key food items, please visit our page here for a list of those items. * Any donations for the Food Pantry can be dropped into the large "soup bins" located within church campus buildings on Sundays, or with the main office during its business hours. Our Nurture Committee provides assistance getting to church or ministry events. Please contact Carolyn Frost at 770-713-9793 if you need transportation. Come eat and shop at our BBQ and yard sale for men! 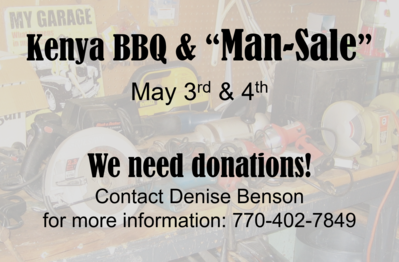 We’re looking for donations of tools, golf clubs, machines, gadgets, etc. If you have donations, can help out, or need more information please contact Denise Benson at 770-402-7849. Click here for more information on our Kenya ministry! Come join our Morning Circle Bible Study the first Wednesday of each month (except July and December) as we study through Acts, chapter by chapter. For more information please contact Ann Johnson at eajohn1@bellsouth.net, or 770-877-2786! Come join us for our Thursday Morning Prayer Group at 10:00am! If you can't come to the church please consider becomming a prayer warrior at home. We will meet in the Fellowship Hall if it's available. For more information contact Paula Walls at pwalls22@bellsouth.net. 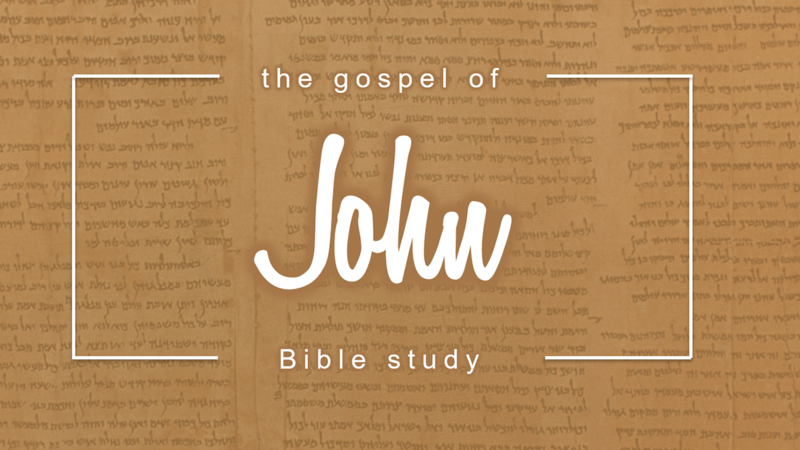 Our Gospel of John Bible study will meet in the Chapel and explore the question “Is Jesus God?” This Bible study will continue Wednesday nights at 7pm, through May 15th (taking April 3rd off for Spring Break). 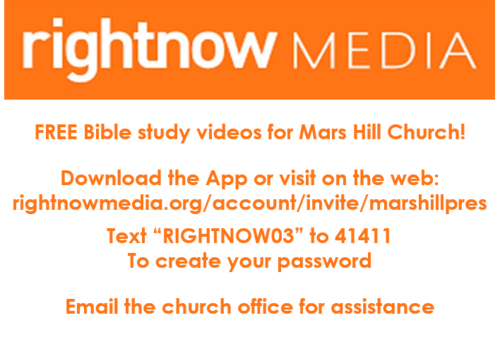 Click here to watch to our past studies! Mystery Dinners are held the first Saturday in February, May, August, and November. The restaurant will be revealed after meeting at a specified location. Wednesday Night Dinners - Click here for more information!